We were melting away in the early morning sun as we slipped and slid up the red sand dune, one pace forward and half a slide back. Did we really have to drive for 4 hours to come and kill ourselves in these dunes ? 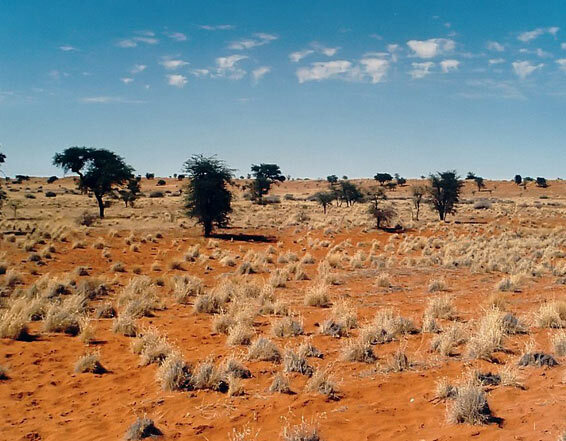 Invariably, when you think of Namibia, you imagine the huge red sand dunes of the Namib Desert or the smaller Kalahari dunes, which stretch in an endless, wave-like formation in the south of our beautiful country. In some woodland areas the harsh August winds have blown the red sand and piled it up against the sides of small rocky outcrops. Over the centuries these have grown to become what I refer to as the woodland dunes. This was where we had spotted, more than an hour ago, a small ram herd of Black-faced (Angolan) Impala, with one ram towering majestically above the rest. 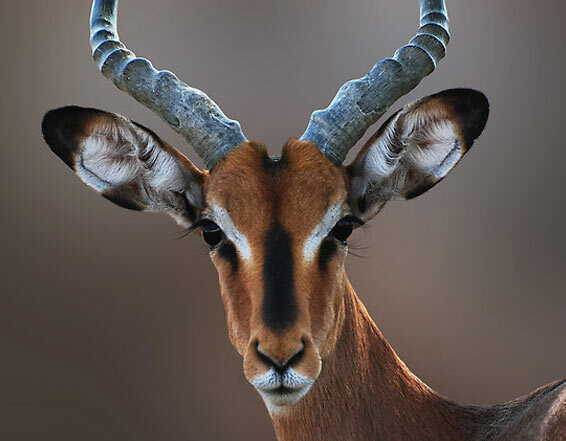 This very rare specie, the pride of Namibia, is about 20 percent larger in body than it’s cousins the Southern and East Africa Impala, and these three species have the honor of not being related to any other antelope specie in Africa. The uniqueness of the Black Faced Impala is the pitch-black patch covering the entire area from between the eyes to the muzzle, as well as a much longer very bushy tail which, when alarmed, is thrown up to expose the white underside, much like the White Tail Deer in the States. this specie. 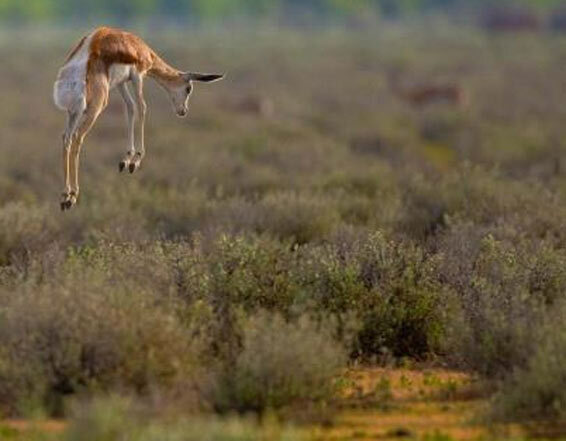 In this way they leave an airborne trail for the fleeing Impala behind them to follow. My client, John, and I were determined to keep on hunting until we got the trophy of our choice. We are both very picky customers when it comes to trophy size, and in this case we were looking for a specimen in the higher twenty-inch class. When you work the sand dune like a treadmill your breathing and the flow of perspiration reaches an all time peak in the blazing Namibian sun. I have always carried my binoculars on a very short strap around my neck, high up on my chest where the pick up to the eyes follows the shortest route. Some guys carry theirs with the strap over the one shoulder across the chest like a knapsack just below the arm pit which I find impractical as the pick up is too far from the face when time is limited. If you carry them like I do, unknowingly, the perspiration drips from the chin onto the lenses of the binoculars, and they become almost unusable, as the sight picture is totally blurred. As we approached the top of the dune I slowed down my pace to a very slow stalk, firstly so we could look over the top of the dune very carefully, as I had a feeling that our prey would be very close. Secondly to let my client catch his breath in case of the chance of a shot. The Impala were exactly where I thought they would be, standing in a small Terminalia thicket straight ahead of us, with our big ram looking curiously at the two strange objects appearing slowly over the edge of the dune. 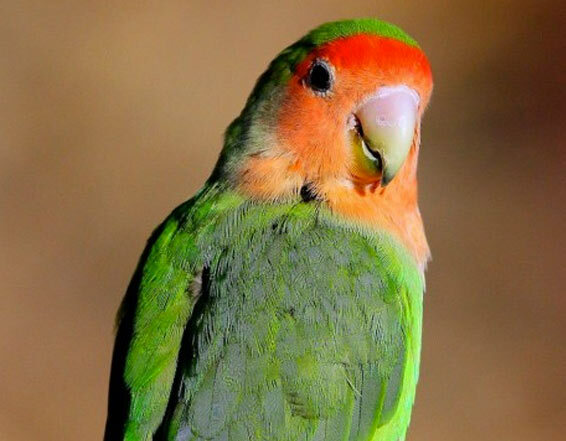 During my years of hunting I had found that, by showing an animal just a portion of your body or any object, they become curious rather than alarmed. For example when you hunt the Bovine tribe such as the Wildebeest you can hide behind a bush, and just by occasionally sticking your head out the side of your cover or waving a hat at them, you can draw them closer for a shot. In a split second I had the two-legged shooting sticks up and in position and pulled John forward for his shot. It was perfect .. the situation, yes, but the equipment, no! I could not understand his hesitation in making the shot, as he was always fast and sure on the trigger. I held my breath looking through my hazy, fogged-up binoculars, waiting for the shot. It did not happen .. I couldn’t believe it! He lifted his head off the rifle and, in a southern drawl, exclaimed LOUDLY: “I cain’t see it and I cain’t do it” ! Twang – off they went, leaping over each other and anything in their way. With a sheepish look on his face John pulled up his shoulders and told me that he could not see the Impala – they were just a blur. John had been carrying his rifle at high port all the time and had collected quite a quantity of perspiration on the front lens of his scope .. He felt like a blind man looking through his scope and at a hundred paces would not dare to chance a shot. After tread milling some more for the remainder of the day, and each loosing vast quantities of the stuff that blurs up scopes, we eventually bagged a magnificent specimen at sunset.The four hour drive back to camp mercifully came to an end with an ice cold Scotch on the rocks, thankfully held in our sweaty palms at the campfire. The day’s hunt had been long, challenging and sometime frustrating, but ultimately extremely satisfying and rewarding. Although my client’s magnificent Black Faced Impala trophy would qualify for a top place in the record books, he has chosen not to enter it. As Professional Hunter this is, of course, rather disappointing to me, but I do respect his decision.